Mesothelioma is an aggressive cancer, but there are many survivors who have outlived their prognosis. We proudly share their stories of overcoming mesothelioma. 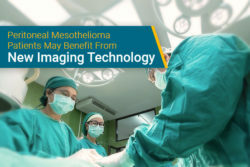 A mesothelioma diagnosis can be devastating, but patients and their families can find comfort knowing other people diagnosed with mesothelioma have made miraculous recoveries. 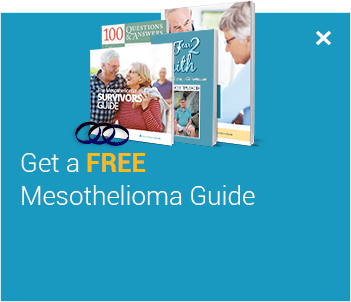 Find out how survivors have beaten the odds in our free Mesothelioma Survivors Guide. Mesothelioma survivors have lived over 10 years beyond their initial diagnosis and beat their odds. Many survivors credit their improved prognosis to seeing a mesothelioma specialist and getting second opinions. Most mesothelioma survivors received curative surgical treatments (extrapleural pneumonectomy, pleurectomy, cytoreduction). Survivor stories offer hope and so much more. than hope. 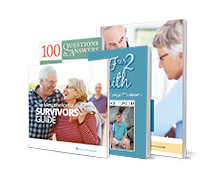 Patients can learn what each survivor’s diagnosis was and which treatment methods they received. Patients who read these stories of life can model their own battle after these brave survivors. Minneapolis resident Jodi Page was diagnosed with mesothelioma at just 26 years old. When she first saw the doctor with fever, chills and a sore throat, she was diagnosed with a cold and treated with a Z-Pack. While the symptoms briefly subsided, they all came back – this time with chest pain. Upon further examination, she was incorrectly diagnosed as having stage 3 or 4 epithelial mesothelioma by a general oncologist. 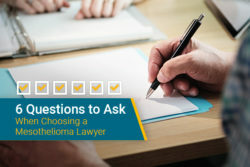 Only after seeing a mesothelioma specialist was it revealed she was in stage 2. She was eligible for an extrapleural pneumonectomy, which was successfully performed with radiation treatment. Jodi celebrated her 30th birthday by skydiving. Ten years later, she continues her recovery. 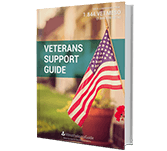 The wife of a retired air force veteran, Marlyn Landin spent most of her adult life working as a hair stylist. She decided to go see a doctor after experiencing what felt like a pulled muscle in her back. It was a good thing she did - after a precautionary X-ray, doctors were alarmed. They ordered a CT scan for additional information on her right lung. After six weeks of seeing different doctors, Marlyn received a diagnosis of pleural mesothelioma. Marlyn had invasive surgery removing numerous ribs and part of the cancerous lung. She also went through numerous cycles of chemotherapy that put her on the road to recovery. Thirteen years later, she's still on that road. In 2007, Jill Litton was examined after a possible cancer scare. Luckily, the cells were benign, and she thought that was the end of it. Three years later, Jill noticed that she had put on some weight in her belly. She assumed that it must have something to do with quitting smoking, but decided to see her doctor just to be sure. While visiting the doctor, she laid down to be examined. When her doctor pushed on her abdomen, Jill felt a sharp pain. Her doctor, concerned, sent her to have tests done. Before she could be tested, however, she had an allergic reaction that sent her to the hospital. During her hospital stay she was scanned and found to have peritoneal mesothelioma. Dr. Brian Loggie at Creighton Medical University treated Jill with Heated Chemotherapy (HiPEC) and traditional chemotherapy with Alimta and Carboplatin. She's in recovery now and has a positive view of her health. After this experience, Jill humbly wants to help others: "I see how blessed I am and I feel guilty a lot of times because of how awesome I am doing while so many others suffer." After Alexis Kidd began experiencing strong stomach pains, it was determined that she should have her gallbladder removed. During the surgery, her surgeon noticed small "rice-like" formations on her diaphragm and biopsied on the spot. The surprising diagnosis of mesothelioma was verified twice before she was told; but despite these findings, all subsequent X-rays, CT scans, and PET scans showed nothing at all. As mesothelioma is rarely found in the diaphragm before it metastasizes, she was initially diagnosed at stage 4. However, it was later determined that her cancer primarily existed on her diaphragm. Alexis credits much of her recovery to her team of doctors and the HiPEC treatment. She lives in Houston, Texas, with her husband, punk musician Christian Kidd. Paul Kraus lived in Australia and worked cutting sheets of asbestos. Nearly four decades later, Paul was diagnosed with advanced peritoneal mesothelioma. In interviews, Paul shared that he accepted his diagnosis, but ignored his prognosis. Since his mesothelioma was so far advanced, very few medical treatment options were available. In 1997, he was given a prognosis of just a few months to live. In his book, Surviving Mesothelioma and Other Cancers: A Patient's Guide, he describes his holistic approach. Paul is the longest living known mesothelioma survivor. Paul made complete lifestyle changes by altering his diet and using vitamins, herbs, amino acids, and other supplements. He did all of this under the guidance of doctors to ensure his overall well-being. Living with mesothelioma. Cancer Research UK. 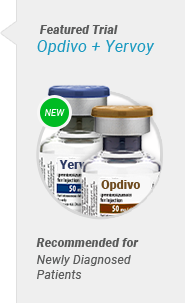 Retrieved from: http://www.cancerresearchuk.org/cancer-help/type/mesothelioma/living/. Accessed: 10/15/18. Mesothelioma Survivors. International mesothelioma program. Retrieved from: http://impmeso.org/the-imp-program/survivor-stories/. Accessed: 10/15/18. Mesothelioma Survivor Stories. Mesothelioma Applied Research Foundation. Retrieved from: http://www.curemeso.org/site/c.duIWJfNQKiL8G/b.8598593/k.D685/Homepage.htm. Accessed: 10/15/18.